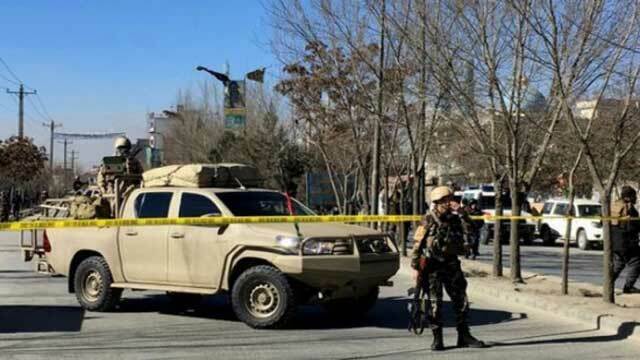 Kabul, Dec 28 (Just News): A suicide attack on an office of the Afghan Voice news agency and a neighbouring cultural centre in the capital Kabul killed dozens on Thursday, officials and witnesses said, with many of the victims students. The attack occurred during a morning panel discussion at the centre, many of those attending students, witnesses said. Sayed Abbas Hussaini, a journalist at the agency, said there appeared to have been more than one explosion during the attack, following an initial blast at the entrance to the compound. He said one reporter at the agency had been killed and one injured. Photographs sent by witnesses showed what appeared to be serious damage at the site, in a heavily Shi'ite Muslim area in the west of the capital, and a number of dead and wounded on the ground. Afghan Voice has Shi'ite links but there was no immediate claim of responsibility. Taliban spokesman Zabihullah Mujahid issued statement on Twitter denying involvement.